With great connectivity, green open spaces and a new school in the pipeline, Middlebeck is ideal for anyone looking for a new home. Residents Lizzie and Fay tell us about their experiences. Lizzie is the mother of two beautiful twins and has also been a Middlebeck resident for six months. 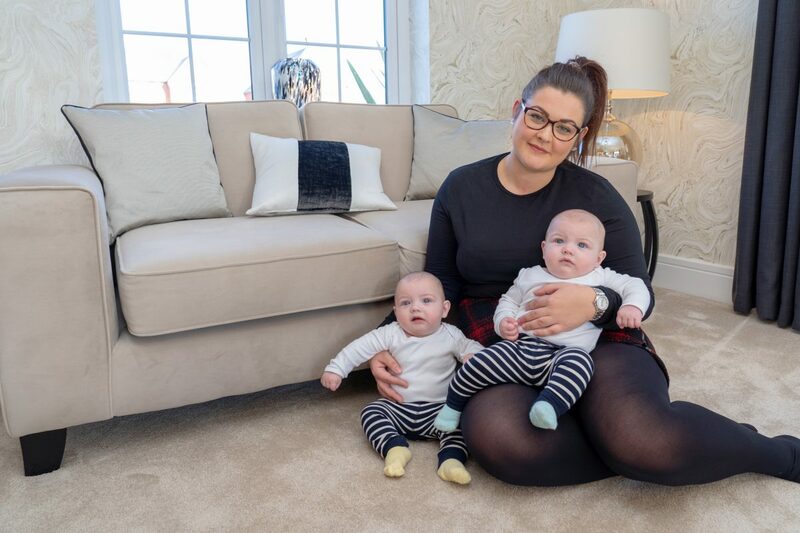 When Lizzie became pregnant with twins, she knew it was time to find the perfect home to raise her soon to arrive little ones. Lizzie was keen to find somewhere as quickly as possible, a location that would meet all of the needs of her growing family. Middlebeck continues to add facilities to its development, enabling the community to come together. “There will soon be places to meet with friends and there are already places where we can walk our dog,” says Lizzie, who is keen to get involved in the local community and eagerly awaits what’s to come. Coming from a small village, Fay and her husband decided it was time to move to somewhere with a wider array of facilities and amenities suitable for their teenage son. Middlebeck was the perfect choice, with plans for facilities to suit all ages and members of the family.